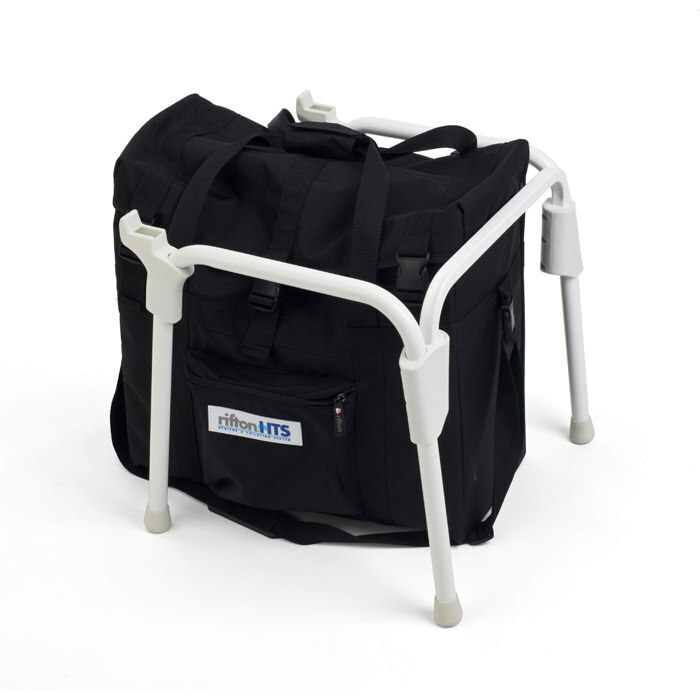 Rifton Portability base with carry bag - The portability kit gives children and their families greater freedom to travel by enabling them to take the Rifton HTS on the road. Eliminates contact with public toilets for better hygiene. 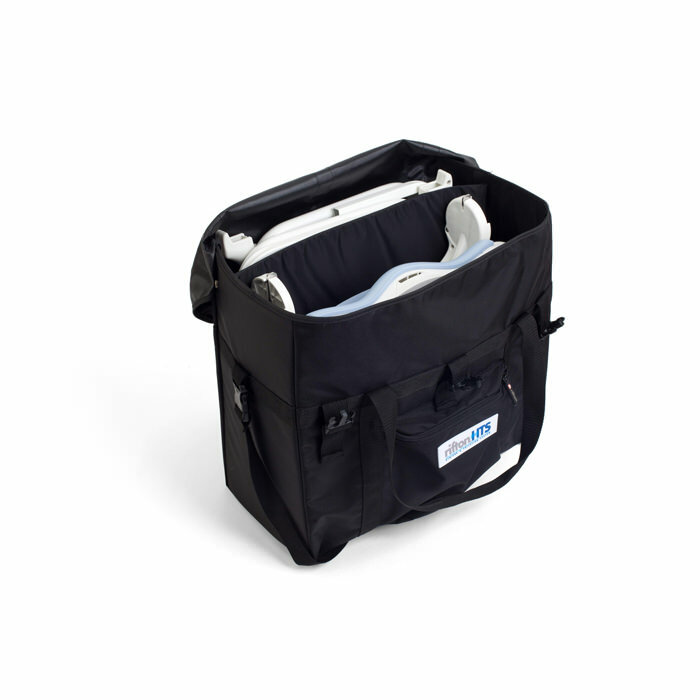 Lightweight folding frame and carry bag (for small and medium sizes) make toileting possible while traveling. Approximate dimensions of the carry bag: 19.5" X 21.25" X 10".